The Pakistani government is suspicious of a nearly one billion dollar U.S. plan to expand the American embassy in Islamabad, a senior Pakistani official told The Media Line. Following reports earlier this week that the scheduled $945.2 million expansion of the U.S. embassy in Islamabad was to include the deployment of up to 1,000 U.S. Marines to the Pakistani capital, a highly-placed official in the Pakistani Foreign Ministry said the government is increasingly sceptical of the U.S. plan and intends to raise the issue with Richard Holbrooke, U.S. President Barack Obama’s Special Representative for Afghanistan and Pakistan. Well, here we go again, the 2nd. 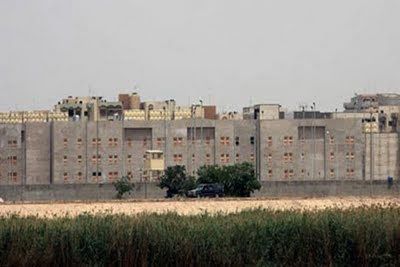 largest embassy on the planet, only to be exceeded by “Fortress America” in Baghdad. I suppose that “suspicious” could be called a vast understatement, when considering the secrecy and then the final unveiling four years later, of an embassy that actually serves as a military installation. The Military Petrochemical Agrocorporate Fusion Energy Complex is obviously still Hell bent on “the long war” and will go to any lengths to pursue their efforts to control Middle Eastern oil. BILLINGS, Mont. — The Two Rivers Detention Center was promoted as the largest economic development project in decades in the small town of Hardin when the jail was built two years ago. But it has been vacant ever since. Did I hear correctly? The spokesman for American Police Force said that they were interested in using the facility as a training center? Makes sense I guess, considering the possibility of ties to Darth Chainey and the shadow government. City officials have searched from Vermont to Alaska for inmate contracts to fill the jail, only to be turned down at every turn and see the bonds that financed its construction fall into default. They even floated the idea of housing prisoners from Guantanamo Bay at the jail. So when Hardin officials announced this week that they had signed a deal with a California company to fill the empty jail, it was naturally a cause for celebration. Town officials talked about throwing a party to mark the occasion, their dreams of economic salvation a step closer to being realized. But questions are emerging over the legitimacy of the company, American Police Force. Government contract databases show no record of the company. Security industry representatives and federal officials said they had never heard of it. On its Web site, the company lists as its headquarters a building in Washington near the White House that holds “virtual offices.” A spokeswoman for the building said American Police Force never completed its application to use the address. And it’s unclear where the company will get the inmates for the jail. 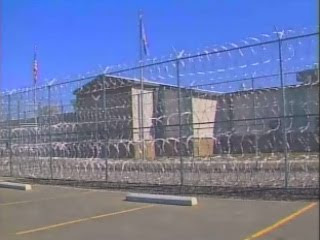 Montana says it’s not sending inmates to the jail, and neither are federal officials in the state. An attorney for American Police Force, Maziar Mafi, describes the Santa Ana, Calif., company as a fledgling spin-off of a major security firm founded in 1984. But Mafi declined to name the parent firm or provide details on how the company will finance its jail operations. Representatives of American Police Force said the company presently employs at least 16 and as many as 28 people in the United States and 1,600 contractors worldwide. A Saudi special forces soldier stands guard at a check point, 5 February 2005, Riyadh, Saudi Arabia. Since the September 11 attacks in the USA eight years ago, the Saudi Arabian authorities have launched a sustained assault on human rights in the name of countering terrorism. The attacks were carried out by a group that included Saudi Arabian nationals. “The anti-terrorism measures introduced since 2001 have set back the process of limited human rights reform in Saudi Arabia,” said Malcolm Smart, Director of Amnesty International’s Middle East and North Africa Programme. An Amnesty International briefing paper, launched on Friday, describes the shocking scale of abuses. Thousands of people have had their lives devastated by violations of their basic rights. Some have been arrested and detained in virtual secrecy, while others have been killed in uncertain circumstances. By Sara Robinson, Campaign for America’s Future. Posted August 13, 2009.